It’s the season of falling leaves, pumpkins, and Halloween (my second favorite holiday). 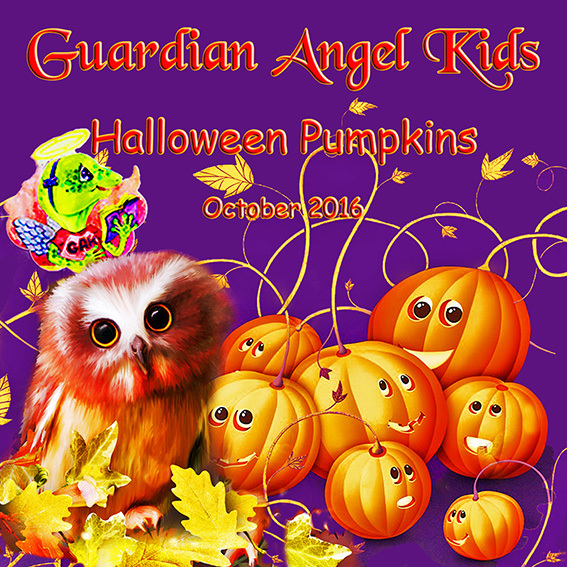 This month’s issue of Guardian Angel Kids is filled with poems, short stories, recipes, and articles that will help you and your youngster celebrate fall. Yes, I’m a bit early, but I figure if Wal-Mart can have their Christmas lights available for purchase in September, I can talk about Halloween books. It’s Clifford’s first Halloween, and Emily Elizabeth dresses him up as the cutest little ghost ever. 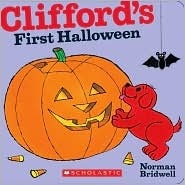 Clifford wants to try everything: trick-or-treating, candy apples, and homemade haunted houses. Discover Halloween with everyone’s favorite red puppy! Clifford has been a favorite around here since my son was little. The girls are mostly past this stage, but every once in a while, a Clifford book is slid out of the shelf. Avoiding a lecture from Mama Junebug, the kitty boy slips into his closet…and finds himself in ancient Egypt. His doggy pals, Los Chimichangos, want to visit Under Mundo—the underworld—where mummitos rest in peas. But they need El Skippito’s brains and courage to answer the riddle of the Finx and enter the mummy’s tomb. Our hero is up to the task, and he’s in for another grand and whirlwind adventure. 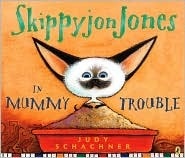 Skippyjon Jones is another Malandrinos household favorite. We had a Siamese cat for years. Plus, I like the level of imagination involved in this series. 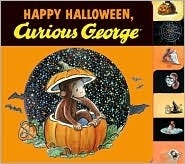 Is there a kid on the face of the planet who doesn’t like Curious George? When I began developing my Beatrice series–which I hope will get picked up soon–I designed her to be a female human Curious George. She’s morphed into something different now, but that curious, accidentally mischievous monkey still holds a place in my heart. No one knows Fancy like Nancy . 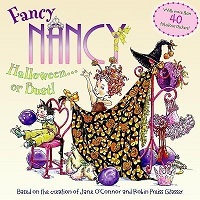 . .
Nancy has an exciting Halloween party to attend with her friend. Nancy gets fancy in a very special costume for the big event. Each of the girls went through their Fancy Nancy stage. We bought some of the books for the Lil Diva and others for the Lil Princess. There seems to always be a Fancy Nancy book at the Scholastic Book Fair. They sell this book as part of a four-book series. When I think of classic children’s books, The Berenstain Bears are right up there with some of the best. My girls never got into them much, but my son loved them. I have them saved in case he wants them for when he has kids. 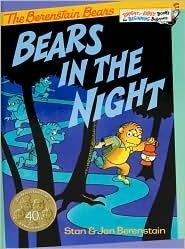 They have more than one spooky, Halloween type book, but Bears in the Night is one I used to read often. Phineas and Ferb is one of my favorite cartoons. The brothers are determined to have an action-filled summer, while the goal of their older sister, Candace, is to get them in trouble with their Mom. They have a pet platypus named, Perry, who unknown to the family is a secret agent out to thwart the evil, Dr. Doofenshmirtz. Talk about a bowl full of imagination! 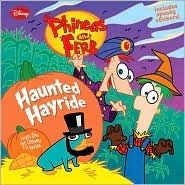 In Haunted Hayride, Phineas and Ferb have completely transformed their backyard into a giant corn maze for Halloween night. They’ve even built a wagon to take all of their friends on a haunted hayride! But little do they know that the evil Dr. Doofenshmirtz has created a giant monster to destroy their town. And when the monster heads for Phineas and Ferb’s house, will Perry the Platypus–aka Agent P–be able to save the day? 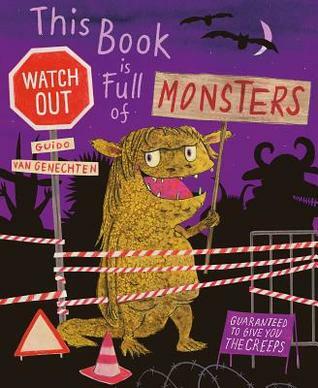 Or will this Halloween be a total fright night? 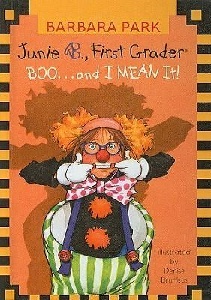 I have to admit I don’t understand the appeal of Junie B. Jones. She’s self-centered (not unexpected), loud, obnoxious and her English is atrocious. That said, my girls love her. I like that the series has grown with Junie B. She started out as a kindergartener and is now a first grader. She has new friends added to her old group, a new teacher, and different adversaries. The Lil Princess and I read this book together last year. It’s one of the funniest of the series. I haven’t read any of the Magic Tree House books, but my girls have read them in school. I think the Lil Diva might even own a few. I like the time travel aspect of the books, in addition to the fact that this series is known to encourage reading. The Lil Diva is a reluctant reader, so if she talks about a book, I know it’s captured her attention. Find out in a story packed to the margins with magic, history, and adventure! 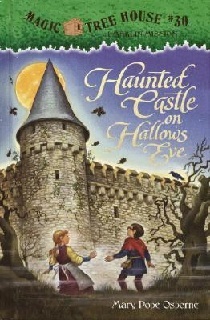 Haunted Castle on Hallows Eve, sounds like the perfect Halloween read to me. 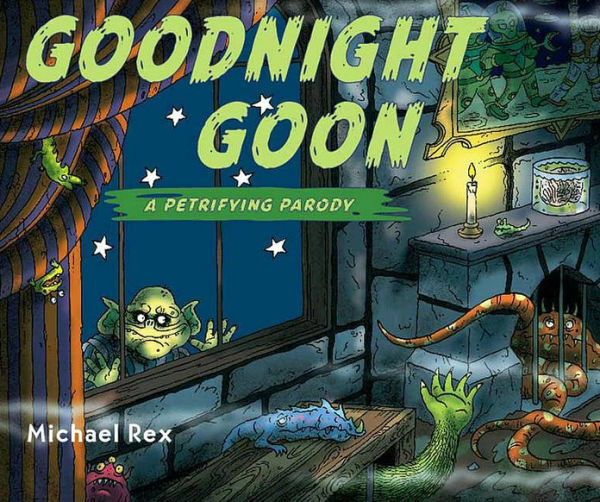 Now that we’ve talked about our family’s favorite character Halloween reads, can you share some of your own? Five little pumpkins are sitting on the gate. Night falls and they are soon joined by a witch, some ghosts, and a few little black spiders. 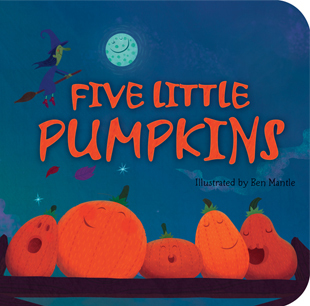 The classic story of the five little pumpkins is brought to life again by artist Ben Mantle. 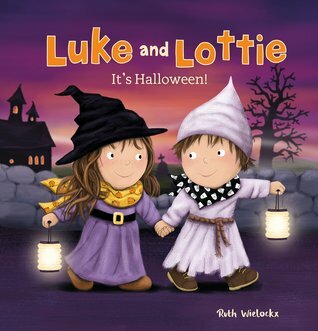 A perfect Halloween read, my daughters are familiar with Five Little Pumpkins from elementary school. This board book with padded cover is the perfect size for little hands, and it will get your youngster counting. My one tiny complaint is that it is designed with black text on a dark background. I had trouble seeing some of the text, as did my daughter when she tried to read it aloud. The page where the lights went out had white text and you could really see the difference it made.